Make pretty patterns and unique textures on all of your craft work using these high-quality plastic rubbing plates. Available in sets of six and each plate has a different design on meaning you can create various different artistic pictures. 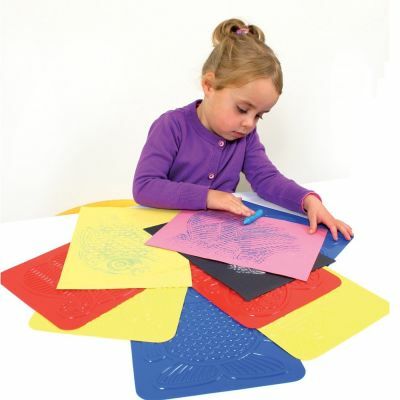 Can easily be washed making them perfect for classroom environments especially among nursery and primary ages. Includes a guide, each plate measures 22cm x 28cm.